Abstract: A meta-analysis was conducted to synthesize existing studies comparing the effects of Problem Based Learning and virtual laboratory versus traditional instructional media on student learning outcomes. Sixty-three studies were placed in this meta-analysis, and the results showed that Problem Based Learning and virtual laboratory learning media were more effective than instructional methods. The results of this study indicate that Problem Based Learning and virtual laboratory learning media clearly have a more positive effect on student learning than instructional methods. P. Bauer And V. Fedak, “Teaching Electrical Drives And Power Electronics: Elearning And Beyond,” Automatika, Vol. 51, No. 2, Pp. 166–173, 2010. Ahyanuardi, Hambali, And Krismadinata, “Pengaruh Kompetensi Pedagogik Dan Profesional Guru Sekolah Menengah Kejuruan Pasca Sertfikasi Terhadap Komitmen Guru Melaksanakan Proses Pembelajaran,” J. Inov. Vokasional Dan Teknol., Vol. 18, No. 1, Pp. 67–74, 2018. N. Hosseinzadeh And M. R. Hesamzadeh, “A Course In Power System Analysis Based On Project Based Learning Methodology,” 2009 Ieee Power Energy Soc. Gen. Meet., Pp. 1–6, 2009. A. Kuznietsov And S. Kovalev, “Development Of An Electric Vehicle As A Framework For Interdisciplinary Problem Based Learning Curriculums,” 2014 Ieee Int. Electr. Veh. Conf. Ievc 2014, 2015. I. E. Achumba, D. Azzi, V. L. Dunn, And G. A. Chukwudebe, “Intelligent Performance Assessment Of Students’ Laboratory Work In A Virtual Electronic Laboratory Environment,” Ieee Trans. Learn. Technol., Vol. 6, No. 2, Pp. 103–116, 2013. W. J. Shyr, “Multiprog Virtual Laboratory Applied To Plc Programming Learning,” Eur. J. Eng. Educ., Vol. 35, No. 5, Pp. 573–583, 2010. L. Rajendran, R. Veilumuthu, And J. Divya, “A Study On The Effectiveness Of Virtual Lab In E-Learning.,” Int. J. Comput. Sci. Eng., Vol. 2, No. 6, Pp. 2173–2175, 2010. H. Tambunan, A. Dalimunte, And M. Silitonga, “Scenario Based E-Learning In Electrical Engineering Education,” Int. Educ. Stud., Vol. 10, No. 3, P. 26, 2017. S. Cobb, R. Heaney, O. Corcoran, And S. Henderson-Begg, “The Learning Gains And Student Perceptions Of A Second Life Virtual Lab,” Biosci. Educ., Vol. 13, No. 1, Pp. 1–9, 2009. S. De Lusignan, “Evaluation Of An Adaptive Virtual Laboratory Environment Using Western Blotting For Diagnosis Of Disease,” Inform. Prim. Care, Vol. 20, No. 2, Pp. 77–79, 2012. J. Eison And D. Ph, “Using Active Learning Instructional Strategies To Create Excitement And Enhance Learning,” P. 20, 2010. S. Choi And M. Saeedifard, “An Educational Laboratory For Digital Control And Rapid Prototyping Of Power Electronic Circuits,” Ieee Trans. Educ., Vol. 55, No. 2, Pp. 263–270, 2012. M. J. Duran, F. Barrero, A. Pozo-Ruz, F. Guzman, J. Fernandez, And H. Guzman, “Understanding Power Electronics And Electrical Machines In Multidisciplinary Wind Energy Conversion System Courses,” Ieee Trans. Educ., Vol. 56, No. 2, Pp. 174–182, 2013. A. Abramovitz, “Teaching Behavioral Modeling And Simulation Techniques For Power Electronics Courses,” Ieee Trans. Educ., Vol. 54, No. 4, Pp. 523–530, 2011. M. D. Treleven, R. J. Penlesky, And C. A. Watts, “Teaching Operations And Supply Chain Electronic Exchange Of Files,” Vol. 5, No. 6, Pp. 763–770, 2012. A. Tella, F. Orim, D. M. Ibrahim, And S. A. Memudu, “The Use Of Electronic Resources By Academic Staff At The University Of Ilorin, Nigeria,” Educ. Inf. Technol., Vol. 23, No. 1, Pp. 9–27, 2018. F. Martinez-Rodrigo, L. C. H. Lucas, S. De Pablo, And A. B. Rey-Boue, “Using Pbl To Improve Educational Outcomes And Student Satisfaction In The Teaching Of Dc / Dc And Dc / Ac Converters,” Ieee Trans. Educ., Vol. 60, No. 3, Pp. 1–9, 2017. C. Fernández, P. Zumel, M. Sanz, A. Lázaro, And A. Barrado, “Description And Assessment Of Activities Oriented To Enhance A First Course On Power Electronics,” Ieee Trans. Educ., Vol. 54, No. 4, Pp. 531–539, 2011. F. Martínez, L. C. Herrero, And S. De Pablo, “Project-Based Learning And Rubrics In The Teaching Of Power Supplies And Photovoltaic Electricity,” Ieee Trans. Educ., Vol. 54, No. 1, Pp. 87–96, 2011. N. Hosseinzadeh And M. R. Hesamzadeh, “Application Of Project-Based Learning (Pbl) To The Teaching Of Electrical Power System Engineering,” Ieee Trans. Educ., Vol. 55, No. 4, Pp. 495–501, 2012. I. S. Hussain And S. Jaafar, “Linking Knowledge And Industry Needs Through Problem-Based Learning In Power Electronics Course,” 2016 Ieee 8th Int. Conf. Eng. Educ. Enhancing Eng. Educ. Through Acad. Collab. Iceed 2016, Pp. 16–21, 2017. Z. Zhang, C. T. Hansen, And M. A. E. Andersen, “Teaching Power Electronics With A Design-Oriented, Project-Based Learning Method At The Technical University Of Denmark,” Educ. Ieee Trans., Vol. Pp, No. 99, P. 1, 2015. J. H. Su, S. C. Wang, C. S. Lee, And J. J. Chen, “Enhanced Problem-Based Learning Of Power Converter Theories And Implementations With Behavior Model Simulations,” Proc. - Front. Educ. Conf. Fie, Pp. 13–18, 2007. 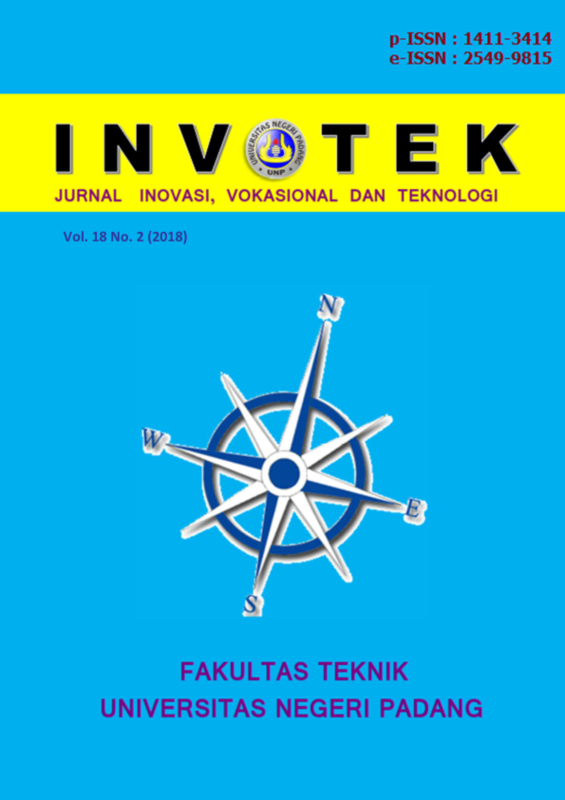 L. Cheewyai, W. Cheah, A. K. Chowdhury, And C. Gulden, “Engineering Sustainable Software: A Case Study From Offline Computer Support Collaborative Annotation System,” 2015 9th Malaysian Softw. Eng. Conf. Mysec 2015, Pp. 272–277, 2016. J. Su And Y. Chen, “A Web-Based E-Learning Platform For Power Electronics Courses,” Sci. Technol. S. Choi, M. Saeedifard, And R. Shenoy, “A Modern Educational Power Electronics Laboratory To Enhance Hands-On Active Learning,” Asee Annu. Conf. Expo. Conf. Proc., 2011. S. Kabra, H. Dua, And A. Kapoor, “Development Of E-Learning Based Module For Teaching Practicals In Electronics To Science And Engineering Students In India,” Proc. Ieee Int. Conf. Teaching, Assess. Learn. Eng. Learn. Futur. Now, Tale 2014, No. December, Pp. 173–174, 2015. D. Tesoro-Martinez, T. U. G. Jr, And H. S. Taylor, “Multimedia Tools For Teaching Basic Electronics,” Vol. 3, No. 2, Pp. 23–34, 2014. S. Wang, “The 2014 International Power Electronics Conference Photovoltaic Generation System,” Pp. 3778–3783, 2014. M. F. Rahman, K. V Baburaj, And L. Zhong, “For Teaching Power Electronics And Drives,” Pp. 751–756, 1998. D. Nafpaktitis, D. Triantis, P. Tsiakas, C. Stergiopoulos, And K. Ninos, “Using New Technologies For Teaching Power Electronics And Assessing Students,” 2006 1st Ieee Int. Conf. E-Learning Ind. Electron. Icelie, Pp. 125–129, 2006. T. Vlad And D. Pitica, “Implementing Some Fundamental Electronics Concepts Using Project Based Learning In Educational Platforms,” 2015 38th Int. Spring Semin. Electron. Technol., Vol. 2015–Septe, Pp. 510–515, 2015. R. Gonzalez-Rubio, A. Khoumsi, M. Dubois, And J. P. Trovao, “Problem- And Project-Based Learning In Engineering: A Focus On Electrical Vehicles,” 2016 Ieee Veh. Power Propuls. Conf. Vppc 2016 - Proc., 2016. D. G. Lamar, P. F. Miaja, M. Arias, A. Rodríguez, M. Rodríguez, And J. Sebastián, “A Project-Based Learning Approach To Teaching Power Electronics: Difficulties In The Application Of Project-Based Learning In A Subject Of Switching-Mode Power Supplies,” 2010 Ieee Educ. Eng. Conf. Educon 2010, Pp. 717–722, 2010. W. L. Tse And W. L. Chan, “Application Of Problem-Based Learning In An Engineering Course,” Int. J. Eng. Educ., Vol. 19, No. 5, Pp. 747–753, 2003. I. J. Oleagordia, M. Barrón, J. I. S. Martín, And F. J. Asensio, “Active Methodology Applied In Engineering By Pbl. Ii-Development,” Proc. Xi Tecnol. Apl. A La Ensen. La Electron. (Technologies Appl. To Electron. Teaching), Taee 2014, 2014. D. G. Lamar Et Al., “Experiences In The Application Of Project-Based Learning In A Switching-Mode Power Supplies Course,” Ieee Trans. Educ., Vol. 55, No. 1, Pp. 69–77, 2012. D. G. Lamar, P. F. Miaja, M. Arias, A. Rodríguez, M. Rodríguez, And J. Sebastián, “A Project-Based Learning Approach To Teaching Power Electronics,” Pp. 717–722, 2010. Wei Jiang, Fangyan Yu, And Yueping Mo, “A Problem Oriented Model For Teaching Power Electronic Circuits,” 2013 Ieee 10th Int. Conf. Power Electron. Drive Syst., Pp. 142–146, 2013. M. Darwish And C. Marouchos, “Simulation Levels In Teaching Power Electronics,” Proc. Univ. Power Eng. Conf., 2013. G. Oriti, A. L. Julian, and R. Cristi, “Hardware Laboratories for Power Electronics and Motor Drives Distance Learning Courses Dan Zulaica,” Electronics, pp. 2229–2236. K. Debebe and V. Rajagopalan, “A Learning Aid for Power Electronics with Knowledge Based Components,” IEEE Trans. Educ., vol. 38, no. 2, pp. 171–176, 1995. J. M. Jiménez-Martínez, F. Soto, E. de Jódar, J. A. Villarejo, and J. Roca-Dorda, “A new approach for teaching power electronics converter experiments,” IEEE Trans. Educ., vol. 48, no. 3, pp. 513–519, 2005. R. R. Riehl, J. A. C. Ulson, A. L. Andreoli, and A. F. Alves, “A new approach for teaching power electronics in electrical engineering courses,” 2014 17th Int. Conf. Electr. Mach. Syst., pp. 3573–3578, 2014. P. Bauer, B. Davat, V. Fedak, and V. Hajek, “Educational visualization for teaching power electronics,” IEEE Power Electron. Educ. Work. 2005, vol. 2005, pp. 45–51, 2005. C. Paugam et al., “Electrical vehicles project: A method to learn power electronics for a non-specialized engineer?,” 2010 IEEE Veh. Power Propuls. Conf. VPPC 2010, 2010. V. F. Pires, A. J. Pires, and O. P. Dias, “Self-learning as a tool for teaching power electronics BT - 2011 5th IEEE International Conference on E-Learning in Industrial Electronics, ICELIE 2011, November 7, 2011 - November 10, 2011,” pp. 104–108, 2011. J. Laugis and V. Vodovozov, “Universities Collaboration in Teaching Power Electronics Keywords Theory and Simulation in Teaching Power Electronics,” Computer (Long. Beach. Calif)., pp. 1–8, 2007. P. Bauer, “Distance laboratory for teaching power electronics - Part II DC-AC,” 11th IEEE Work. Control Model. Power Electron. COMPEL 2008, pp. 1–7, 2008. T. Taufik, “Work in progress - Improving learning using industry supported project in power electronics course,” Proc. - Front. Educ. Conf. FIE, pp. 3–4, 2007. A. L. Ferreiro, A. A. N. Mel? ?ndez, A. M. Cao-Paz, J. M. Acevedo, and M. Castro, “A B-learning new approach applied to a practical power electronics converters course,” Proc. - Front. Educ. Conf. FIE, vol. 2014, 2015. U. Drofenik and J. W. Kolar, “Interactive Power Electronics Seminar (iPES)-a web-based introductory power electronics course employing Java-applets,” Power Electron. Spec. Conf. 2002. pesc 02. 2002 IEEE 33rd Annu., vol. 2, pp. 443–448 vol.2, 2002. F. J. Maseda, I. Martija, and I. Martija, “An active learning methodology in power electronic education,” Proc. - Front. Educ. Conf. FIE, vol. 2015–Febru, no. February, pp. 0–4, 2015. A. Hren, F. Mihalič, and M. Milanovič, “Project based teaching of electromagnetics in power electronics course,” Prz. Elektrotechniczny, vol. 87, no. 3, pp. 200–204, 2011. M. Gourmaj, A. Naddami, A. Fahli, and D. Nehari, “Teaching power electronics and digital electronics using personal learning environments: From traditional learning to remote experiential learning,” Int. J. Online Eng., vol. 13, no. 8, pp. 18–30, 2017. J. Hamar, H. Funato, S. Ogasawara, O. Dranga, and C. K. Tse, “Multimedia based E-learning tools for dynamic modeling of DC-DC converters,” Proc. IEEE Int. Conf. Ind. Technol., vol. 2005, pp. 17–22, 2005. A. Malaoui et al., “Implementation and validation of a new strategy of online practical works of power electronics for embedded systems,” Int. J. Online Eng., vol. 13, no. 4, pp. 29–44, 2017. W. G. Hurley, S. Member, and C. K. Lee, “Development, Implementation, and Assessment of a,” vol. 48, no. 4, pp. 567–573, 2005.